Lot of (20) 18005-008 Inner/18005-090 Outer – PB / Surefeed Entering Finger 1.5"
New OTI part, Replaces Streamfeeder Inc Reliant 27/3700 Discharge Belt 1"
Formax FD 1402. The Formax FD 1402 Automatic Pressure Seal System processes up to 75 pieces per minute. It is equipped with a three rollertop feed. Fold types Z, C, uneven Z, uneven C, Half, and Custom folds. This kit has 7 large belts and 5 small belts. These belts are made for glossy paper. Automatic Creaser Folder. The C100 can process up to 8,500 sheets per hour. The C100 processes sheets up to 12.9" wide x 27.5" long. New Formax Atlas C100. Our technicians have extensive backgrounds in Konica Minolta, Sharp, Ricoh Family Group, Canon, Xerox, HP and Many More! FD 230 Semi-Automatic Creaser / Perforator. TheFD 230 Semi-Automatic Electric Creaser/Perforator is specially designed for finishing printed materials. The creasing function prevents cracking of toner-based digital prints and ensures a clean, professional fold. AutoSeal FD 1202. A processing speed of up to 38 forms per minute and the added capability of processing 14” forms enable operators to complete daily processing jobs with ease. Catch tray. Processes up to 14" forms. New Formax Square IT Booklet Finisher. The Formax Square IT gives your stapled booklets a square flat spine. This professional look makes it easier to stack and trim. It finishes up to 1,800 booklets per hour. New Formax 382 Automatic Paper Folder. The Formax 382 is an automatic paper folder. The 382 can process 20,100 sheets per hour. 43# bond 90#index. Our technicians have extensive backgrounds in Konica Minolta, Sharp, Ricoh Family Group, Canon, Xerox, HP and Many More! Automatic Creaser Folder. New Formax Atlas C300. The C300 can process 9 sheets with 9 creases in 9 seconds. This Atlas uses a creasing matrix without cutting to create a clean fold without cracks. Made in the USA this unit is user friendly and ideal for large operations. Item(s) will have a 4"x2" internal inventory label, see pictures. Weight (lbs): 21.00. No Original box. 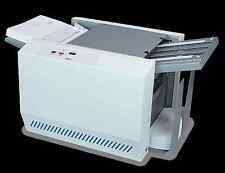 It has a capacity of up to 200 sheets. The heavy duty steel construction ensures it will last with quality performance. The fold plates are labeled with four standard folds Z, C, Uneven Z, Half folds and can be readjusted for custom folds such as eccentric Z. Made in the USA the Formax FD 1502 is user friendly and ideal for any office. New Formax FD 430 Envelope Sealer. The Formax FD 430 Envelope Sealer can close and seal envelopes in a single pass. The FD 430 can handle up to 18,000 envelopes per hour depending on size. It provides a power and cost effective way to speed workflow and increase productivity. New Formax Colormax T5 Digital Printer. The Formax T5 produces high quality professional images. The 5th color white toner sets this machine apart from the competition. The Colormax T5 has 1200 x 1200 dpi resolution. New OTI Belt Kit, Replaces Streamfeeder Belt Kit - ST1250. New Belts. New OTI Belt Kit, Replaces Streamfeeder Belt Kit - ST1250 Belt Kit, Advancing Gate. The color has no effect on the performance, durability, or marking characteristics of the belts. (1x) OTI #: OT-10001, Replaces Streamfeeder Part # 43500096 Timing Belt, 170XL037. SAVE BIG OVER STREAMFEEDER! These accessories are previously owned but are in excellent working condition. This StreamfeederStandard O-ring Gate II will work on Streamfeeder Reliant, ST, XT, Rena, Secap, and MCS feeder models. Automatic Creaser Folder. The C200 can process up to 8,500 sheets per hour. The C200 Processes sheets up to 19.6" x 27.5". New Formax Atlas C200. Our technicians have extensive backgrounds in Konica Minolta, Sharp, Ricoh Family Group, Canon, Xerox, HP and Many More! It has a safe and simple two button electronic operation. The LED readout makes it very user friendly. Semi Automatic Cutter. Our copiers are in house and available for your inspection. We are happy to help find the best machine that fits your needs. New Formax FD 382 Folder. It folds at a speed of 20,100 sheets per hour. The FD 382 has a 500 sheet capacity. Our copiers are in house and available for your inspection. We are happy to help find the best machine that fits your needs. New Formax FD 38x Automatic Folder. The tray can hold up to 500 pages. This tri-folder is very quick folding at a speed of 20,100 sheets per hour. It can make folds in letter, half, Z-fold, double parallel, gate and fold out. Versamark FV2024 Yellow Ink (20L). Versamark FV2002 Magenta Ink (20L). 50 Degree Nudger Assembly. Condition: New. Part # F780232. Nothing else is included. This item is sold AS-IS and AS DESCRIBED. Versamark FV2001 Cyan Ink (20L). Pitney/Sure-Feed, Inc. (2x) Sure-Feed Part # 10014-001 3" Separator Belt (OT-11105). The color has no effect on the performance, durability, or marking characteristics of the belts. (3x) Sure-Feed Part # 99000-004 Smooth Gum Main Feed Belt (OT-11025). SAVE BIG OVER STREAMFEEDER! These accessories are previously owned but are in excellent working condition. This StreamfeederStandard O-ring Gate will work on Streamfeeder Model 1, 2, 3, EX, and Silver Series style feeders. Versamark FV2013 IR Process Black Ink (20L). Flap lenght 1 "minimum 3" maximum. This machine is perfect for sealing # 9, # 10, envelopes. This machine auto feeds, seals, and conveys the envelope all the way out of the machine and onto the stacker tray @ 120 envelopes per minute. The Formax T4 produces high quality professional images. The Colormax T4 has 1200 x 1200 dpi resolution. The T4 is rated for a duty cycle of 300,000 pages per month. New Formax Colormax T4 Digital Printer. Manual sealer. make Supersized seem small. Get images that. New OTI Belt Kit, Replaces Streamfeeder Belt Kit - ST850/ST550, Advancing Gate. New OTI Belt Kit, Replaces Streamfeeder Belt Kit - ST850 Kit, Advancing Gate (This kit will work on ST550 Models as well.). The color has no effect on the performance, durability, or marking characteristics of the belts. The color has no effect on the performance, durability, or marking characteristics of the belts. 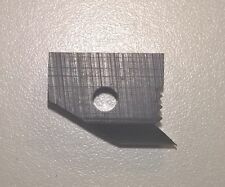 (1x) OTI #: OT-10001, Replaces Streamfeeder Part # 43500096 Timing Belt, 170XL037. (1x)OTI #: OT-10004, Replaces Streamfeeder Part # 23560078 Timing Belt, 78XL037. Excellent throughput with speeds up to 12,000 trifolds per hour Built-in feeder Top load, bottom feed for continuous operation Applies paper, clear, or translucent tabs, with or without perforation Accepts tabs from 5/8" to1-1/2" Accommodates rolls up to 10,000 tabs Accepts product up to 5/32" thick Handles product from 3" x 5" to as large as 17" x 18" Optional Tandem Kit for dual tabbing applications Sold as is where. Model:IJ85 DS-HR 4104704H. Has A101 Feeder error code as shown in photo. Unit is pin locked. We do our best to fully describe the condition of each item. Actual Weight (Lbs) : 42.0. It has a safe and simple two button electronic operation. The LED readout and automatic paper clamp make it very user friendly. The laser guide allows you to see exactly where the blade will cut. Our copiers are in house and available for your inspection. 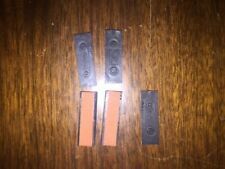 This is a set of 4 parts that will tune up 1 station (1 feeder). If you are inserting more than 5k pieces a month you may want to consider these. These should last around 2 years for most users. (2) Paper Pull Tires. Part numbers: DE80509R, U165003. The Forward Drive Belts are new. New Formax Atlas-AS Automatic Creaser Folder. The Formax Atlas-AS is built for high output with a minimum footprint. This folder can process up to 27,500 pages in one hour. The fold plates can dialed in for accuracy up to. 1 mm. The color has no effect on the performance, durability, or marking characteristics of the belts. (1x) OTI #: OT-10008, Replaces Streamfeeder Part # 44675021 Timing Belt, 190XL037. (1x)OTI #: OT-10004, Replaces Streamfeeder Part # 23560078 Timing Belt, 78XL037. Instruction sheet included. Formax FD-6200 series, FD-6300 series and more. Hasler M3000, M4000, M5000, M5500 and more. Secap FR170. Streamfeeder V710. 12 EA 23500089 Standard Gate O-Ring. 2 EA 15000076 Feed Belt 3/4″ Wide Gum Grooved. 1 EA 44759062 Large Feed Belt 1″ Wide Gum Grooved. 4 EA 23500162 Blue Groved 1″ Wide Gum Belt. 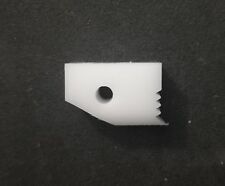 These are high quality made in USA parts. Pitney Bowes W823 FeedRight Feeder. 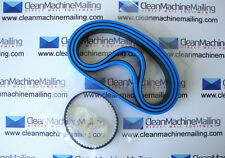 4 EA 23500162DF B (FEED BELT SMALL 1IN WIDE). 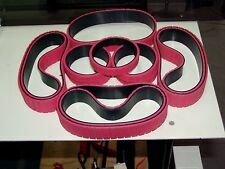 2 EA 15000076DF B (FEED BELT 3/4 WIDE). Streamfeeder V710 units that have the longer center belt. Simply load a stack of paper, up to 14.5” wide, secure with the clamp, and pull down on the lever arm; it’s that easy. Cuts stacks up to. 75" H.
Pitney Bows Series 3 . 2.5 Station Inserter Great condition!! !